Would you like to play a vital part in providing our guests with an unforgettable holiday? Then why not explore starting your career with Thomas Cook now! We offer exciting opportunities in many locations around the world. Perhaps you are interested in working in one of our own-branded hotels, like Casa Cook, Cook's Club, SENTIDO, Smartline, Sunwing, Sunprime, SunConnect and Aldiana? Or maybe you would prefer to become part of our In Destination Team? Whatever your choice, there are many different roles to consider, offering variety and the opportunity to progress. You will also work alongside a great team, who will become not only your colleagues but possibly friends for life. And the one thing you will all have in common – the ability to provide all our customers with excellent customer service and have the customer at our heart. Are you seeking a new adventure? 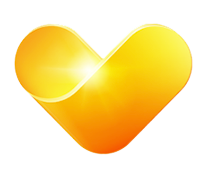 Apply to work for Thomas Cook Hotels or In Destination Management!